Tandoori Knights aim to provide you with a unique Kashmiri dining experience in a luxurious environment. While many people have experience ‘Indian’ and ‘Balti’ cooking, only a few are aware of the subtle, yet distinctive, difference of the delicious spices and flavors of our home-cooked Kashmari dishes. 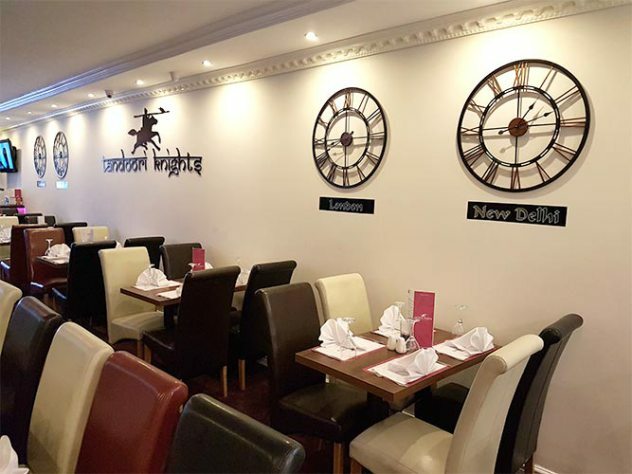 Only the finest of Kashmiri quality ingredients are used by our internationally renowned chefs, please feel free to discuss any individual requirements with our fully trained staff to ensure your full satisfaction whilst eating at Tandoori Knights.